Soft Play 2 You Limited. Registered in England no.11578899. Registered office address: Dalton House, 60 Windsor Avenue, London SW19 2RR. Soft Play 2 You can be contacted by email at [email protected], by telephone 0844 567 0356 or by post at the above address. These terms and conditions relate to all sales on Soft Play 2 You Website and are correct at the time of writing. These may be updated at any time. They do not affect your statutory rights. Our prices are shown in UK pounds sterling and are reviewed periodically. The price shown on the Website is current for the particular product at the time. They include any delivery charges unless otherwise stated. We are not responsible for any other importation taxes, sales taxes or charges that may be levied at the delivery destination. Occasionally we may have made a mistake when pricing an item. If this is the case we will notify you and give you the chance to cancel your order or wish to continue your order at the correct price. We will not be obliged to sell you goods at the incorrect price. If we are unable to contact you we will treat your order as cancelled. Making a purchase could not be easier. Just browse our online store, and add any items that you wish to buy into the shopping cart. After you have finished your selection, click on ‘Checkout’ and you will be asked for the details that we need to be able to complete the order. You will have an opportunity to check and correct any input errors in your order up until the point at which you submit your order by clicking the “submit order” button on the secure ordering page. After submitting an order to us we will send you a transaction confirmation email and an order acknowledgement email with your order number and details of the goods that you have ordered. A contract between us will not be formed until we send you confirmation by email that the goods have been dispatched to you. Only those goods included in the confirmation email sent at the time of dispatch will be included in the contract formed. All orders are subject to availability. It is very rare that we run out of stock however if you order goods which are not available from stock, we will contact you by e-mail and you will have the option to wait until the goods are available from stock, or cancel your order. Dispatch times may vary according products. Please see our delivery section for more information. Soft Play 2 You cannot be held responsible for any delays as a result of strike action or Industrial disputes. Your order will be delivered to the address provided by you at point of order. We cannot be held responsible for orders that are sent to an incorrect address as provided by you. If for any reason your parcel gets lost, we will do our best to help you but cannot be held responsible for lost parcels. We recommend that you get proof of postage from the post office for any returns you send to us, as the Post Office provides insurance on these items. All minimum spend values on all discount codes & vouchers are based on the total value of goods in the shopping basket. Soft Play 2 You accepts payment from all major credit and debit cards through PayPal online via the ‘Website’. 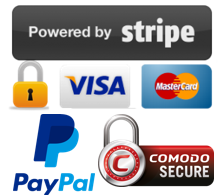 Payment is taken directly with a payment card at checkout PayPal. When paying by card, you confirm that the credit/debit card that is being used is yours. All credit/debit cardholders are subject to validation checks and authorisation by the card issuer. If the issuer of your card refuses to authorise payment we will not accept your order and we will not be liable for any delay or non-delivery and we are not obliged to inform you of the reason for the refusal. We are not responsible for your card issuer or bank charging you as a result of our processing your credit/debit card payment in accordance with your order. Only one voucher code or discount code can be used per order and they cannot be used in conjunction with any other offer. You should take note that most items can be returned within 14 days. Made to order items are non-refundable and some require a re-stock fee to be paid. Soft Play 2 You is UK’s Number 1 choice for quality children’s equipment.